The Rotary Clubs of Northwestern New York are made up of three clubs from the City of Watertown and three clubs from the Northern part of Jefferson County. The Watertown Clubs are the Noon Club, the Evening Club and the Sunrise Club. The Northern clubs are the Clayton Club, the Alexandria Bay Club and the Theresa Club. All clubs are strong, vibrant and actively engaged in services projects both on the local and international level. The oldest Club in Jefferson County, the Watertown Noon Club, is proud to be celebrating their 100th Anniversary this year. The Club was established on December 3, 1914, and thus has the honor of being among the earliest Rotary clubs in existence. 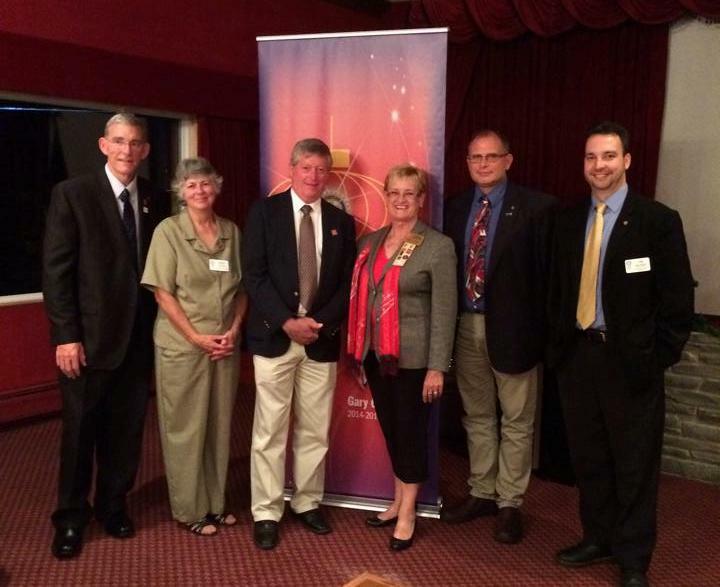 A delegation from the Watertown Noon Club attended this year's District Conference in Ottawa and gave a presentation highlighting their Club's long history, https://www.youtube.com/watch?v=edYr9M0fpUA&feature=youtu.be . The Club is also working on a centennial project which is water park/wading pool that will be placed in a Watertown City park. The main service project for the Watertown Sunrise Club is Dodge Pond, which is a summer camp for handicap children. This year, Sunrise was a co-sponsor of an annual event in Watertown called Taste of the Town. The well attended event is a showcase of local restaurants, and as a co-sponsor the Sunrise Club was able to raise more money than even to support Dodge Pond. The Watertown Evening Club is the newest Rotary Club in Jefferson County and has become very active in the Rotary community. The Evening Club has children as a focus, and they have partnered with a local school to provide food-filled backpacks for needy children. Evening Club has also started working with other Jefferson County Rotary clubs on the joint international service project committee. Although it is the smallest Club in the County, the Theresa Club is a powerhouse in Jefferson County Rotary. The Club particularly focuses on local project and is known for their annual Chili Cook-Off, which raises thousands of dollars for Club projects. The Club's work is found all over their community, and the Theresa Rotarians embody the ideal of service above self. The Clayton Club continues to be very active with numerous ongoing projects each year. A major fundraiser for the Clayton Club is their annual gun show, which is a well attended event in the community each year. Clayton Rotary also sponsors their own Taste of the Town event with all proceeds going toward the eradication of Polio. A unique event organized by the Club is the annual "Pumpkin Chunking" contest, where teams build catapults to see who can hurl a pumpkin the farthest into the St. Lawrence River. Instead of money this event collects food which is then donated to the community. This year the Rotary Club of Clayton will be hosting the Third Annual Fellowship Event in Clayton. The Alexandria Bay Club sits geographically between the Clayton Club and the Theresa Club in the Northern part of Jefferson County. Alex Bay Rotarians are active in their support of community based projects, and in addition have recently joined other Jefferson County Rotary Clubs on the joint international service committee. This year the Alex Bay Club stepped up and offered to host a dinner for the District Governor when she visited Jefferson County. The weather did not co-operate, but Rotarians from all over the County were able to enjoy a wonderful evening of fellowship at the Bonnie Castle Resort in Alexandria Bay. The Alex Bay Rotarians put on an outstanding dinner, and the event was a nice opportunity to showcase what the Club is all about.